Hire us for web design / ecommerce design! 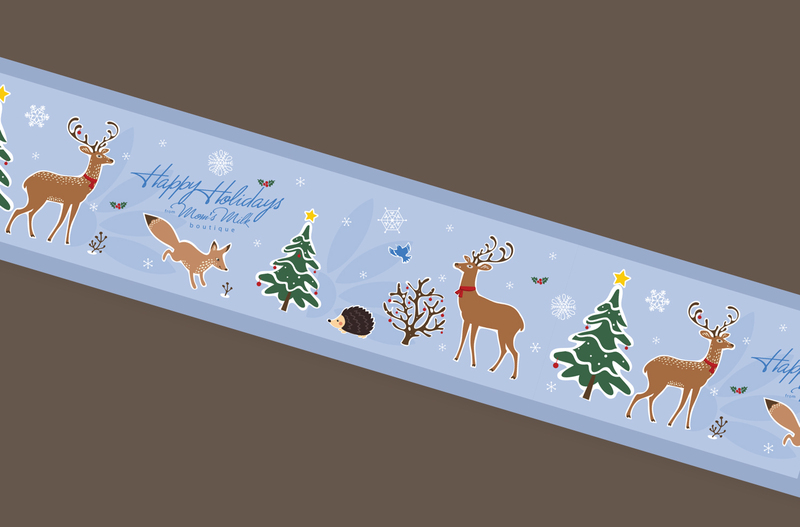 What a cute idea to design a packaging tape to go on all of your boxes that you ship out to your customers this holiday season. When my client, Mom’s Milk Boutique, contacted me to do this design, I couldn’t resist jumping right on it and can’t wait to see the tape on their boxes this season. This design was turned around in a matter of 48 hours and is already being printed. If you would like to do something special for your customers this holiday season, contact us and we’ll be happy to design the project for you! Our turn-around time is approximately 24-48 hours right now! Confused on which shopping cart to choose? on our experience with several shopping carts and many clients that have used them. diaper print design and social media management requests.